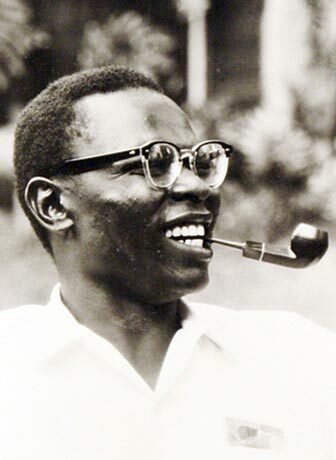 Barack Hussein Obama, Sr. was born in 1936 in Rachuonyo District, Kenya and is the father of President Barack Obama II. He was first married at the age of 18 in 1954. His first wife was Kezia. Together, they would have four children. He originally attended Gendia Primary School and then Ng’iya Intermediate School after his family moved to the Siaya District. He then studied at the Maseno National School. When he was 23 years old, he entered the University of Hawaii at Manoa. There he met Ann Dunham, who he would marry on February 2nd, 1961 in Maui, Hawaii. On August 4th, 1961, their son, Barack Obama II was born. After graduating from the University of Hawaii, he went on to study at Harvard University in 1962. After much time apart, Dunham filed for divorce and Obama consented. At Harvard he met his third wife, Ruth Nidesand and had two children with her before they divorced. He visited his son Barack only once, in 1971, after his divorce from Dunham. When he returned to Kenya, he was hired by an oil company. He died in a car accident in Nairobi in 1982 at the age of 46.